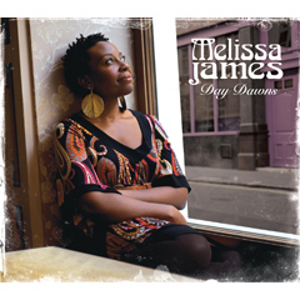 Day Dawns, the debut album by London-based singer/songwriter Melissa James, has been a long time coming – three years, in fact – but is well worth the wait. When the possibility of reviewing her album was first mooted on The F-Word reviewers’ list, she’d just posted ‘I Miss You’ on her Soundcloud page. That song was my first insight into what she’s capable of and, having lived with the CD for a couple of weeks now, I’d say it was a good representation of her sound as well as one of the standout tracks. The album is solidly rooted in soul, jazz, funk and rhythm’n’blues traditions – back in the 1960s and 1970s when R&B meant something quite different from today. Think perhaps of record labels such as Stax Records and Motown rather than, say, Def Jam. Of course, the term R&B has undergone many shifts in meaning since it first came into widespread use in the US in the 1950s. Back then it was frequently used to refer to blues music, particularly the amplified electric blues coming out of Chicago, Memphis and Detroit and other American cities that had seen major influxes of African American people. But R&B has always been more of a catch-all tag, taking in gospel, soul and funk at various times; even the post-disco meaning in widespread use today is often as likely to refer to some combination of hip hop, soul and funk influences than to one specific genre. This isn’t to say that Day Dawns is an anachronistic take on urban contemporary African-American music; far from it. In fact, although R&B is a significant influence on Melissa James’s sound, it is really only a part of it. 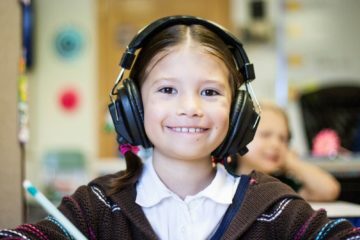 The album moves through a diverse range of styles, including a healthy dash of jazz, blues, torch singing and even country music. Interestingly, all but two songs are original compositions by Melissa with co-writer Ross Lorraine; a clear yet subtle statement of intent. The album opens with the lazy, acoustic bass-led roller ‘Don’t You Keep Yourself Down’ which, with its soulful harmony vocals (apparently by a multitracked choir of Melissas) and punctuated by a percussive horn section, provides an ideal platform for Melissa’s understated but confident delivery. The high production values of ‘Little Caged Bird’ moves the album into more poppy territory, while keeping the soulful vibe and leads nicely into ‘Sing’, a call-and-response duet with Kevin Leo, a long-established and well-respected UK soul singer, which would give more than a few Ashford & Simpson compositions a run for their money. Things simmer down for ‘I Need You Here’, a tale of lost love and self-doubt bolstered by Melissa and Kevin’s backing vocals, which finds Melissa pouring her heart out over a slow-burning backdrop of guitar and horns. This is followed in short order by the first cover of the album, the blues tune ‘Don’t Ever Let Nobody Drag Your Spirit Down’ (written by Charlotte Eva Hoglund/Eric Bibb). An almost swamp-rock guitar motif finds Melissa bending notes with her voice in a way that calls to mind great blues singers like Etta James and Koko Taylor, while the lead guitar lets rip with some clear yet fluid playing which seems to be channelling B.B.King. Along with ‘I Miss You’, ‘You Make Me Feel Good’ is one of a pair of songs which, for me, form the centrepiece of Day Dawns. A real showcase for Melissa’s slow, sinewy drawl over a minimal, stripped-down backing of just finger clicks and Larry Bartley’s nimble string bass delivers a song which would sit comfortably in one of the smoky speakeasies evoked by Rickie Lee Jones on her first album. This is a song which oozes sensuality yet does so with a mischievous glint in its eye, winking knowingly at Peggy Lee’s classic ‘Fever’. One of the standout tracks of the album, no question. The other highlight is ‘I Miss You’. Opening with a simple handful of strummed chords on acoustic guitar, Melissa’s honey-sweet rendition of a yearning lyric of lost love and loneliness builds steadily throughout the song, underpinned by some delicate piano and percussion as muted trumpet fills weave around her voice. 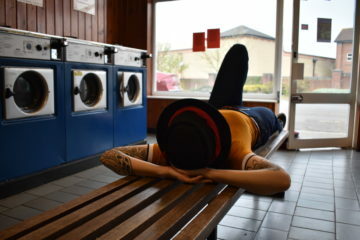 ‘Do You Remember When’ with its bossa nova and jazz influences tiptoes in from the afterglow of ‘I Miss You’ with Melissa’s voice like velvet against a soft guitar and a horn part that caresses your ears like a flurry of falling cherry blossoms. ‘Precious Time’ eases slowly into a more obviously soul-influenced ballad about escaping on a train, Melissa’s assured singing and Matt Park’s slide guitar keeping it all solidly on the rails as it slows to its destination, making way for the album’s second cover, the Hoagy Carmichael evergreen ‘I Get Along Without You Very Well’. A brave choice, perhaps, when you consider how many other versions there have been, from Billie Holiday to Dinah Shore, Peggy Lee (again!) to Nina Simone – but Melissa acquits herself with assurance on a composition which must surely stretch any singer’s vocal range. The arrangement keeps things simple, just a guitar and trumpet, and the recording is all the better for it. This is an understated gem of an album; it draws on a range of influences one might not necessarily have expected to find on a debut set, many of which fail through trying to be all things to all people all the time. However, Melissa James’s assured and mature vocal talents, along with the strength of the material, the sheer old-fashioned musicianship and Joe Leach’s polished yet spacious production have created a highly enjoyable album which repays repeated listening. Melissa’s CD currently unavailable on Amazon. Any ideas where her CD Day Dawns can be purchased? I’m not sure why Amazon aren’t offering a pre-order option and will try to find out but Bandcamp have them available (shipping on the release date of 25 June). Thank you Holly Combe will give it a try.